Leprino Foods has long been invested in the communities in which we operate. In 2015, to extend our philanthropic reach, we established the Leprino Foods Company (LFC) Foundation, a private non-profit entity to support and advance the success of the communities where our company and employees are most active. The LFC Foundation drives positive change in our communities by leveraging time, talent and resources to improve education, nutrition, fitness and local needs. Grants are awarded exclusively to non-profit organizations in support of charitable, educational and scientific collaborations that align with our focus areas of fitness, nutrition, education and local needs. In 2016, more than 50 students from 10 Colorado middle and secondary schools participated in a day-long Health Innovation Challenge to empower students to use their ideas to improve school nutrition and wellness. Students who participated gained valuable leadership, collaboration, and innovation skills by designing and pitching their creative ideas for improving nutrition and wellness at their schools to a panel of judges. 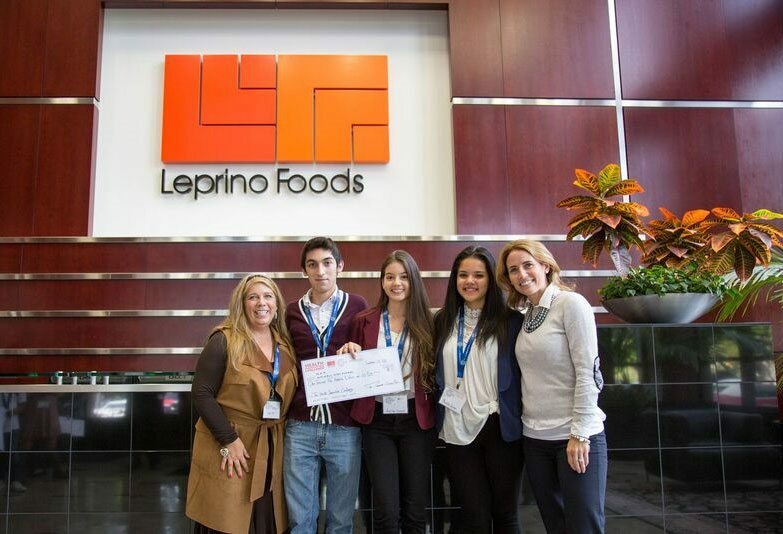 The Leprino Foods Company Foundation, in conjunction with partners GENYOUth and Western Dairy Association, awarded $15,000 in grants towards implementing the students’ ideas in their schools and communities.